A mix of clouds and sun. Gusty winds during the morning. High 63F. Winds NNW at 20 to 30 mph. Winds could occasionally gust over 40 mph..
Clear skies. Low 39F. Winds WNW at 10 to 15 mph. Dennis M. Windle, 63, of Mount Carmel, passed away on Tuesday, Jan. 3, 2017, in Ina, Illinois. He was born June, 13, 1953, in Mount Carmel, the son of Vernard and Emmalea (Wisehart) Windle. He married Donna (Huggins) Windle and she survives. Dennis was a hard worker. He had been employed by the City of Mount Carmel for several years. He enjoyed cooking and reading his Bible. He will be missed by those who knew and loved him. Dennis will be remembered by his wife, Donna; sons, Dennis Windle Jr. and Brian Windle of Mount Carmel; daughters, Amy Tomblinson of Mount Carmel and Stacy (David) Gruttadaurio of Princeton, Indiana; brother, Keith Windle of Vincennes, Indiana; sisters, Sylvia Richeson of Oklahoma, and Connie Huggins of Evansville, Indiana; and 14 grandchildren and seven great-grandchildren. 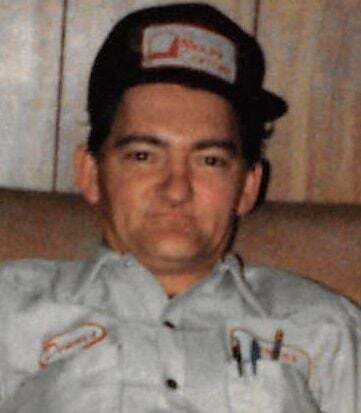 Dennis was preceded in death by his parents; one grandson, Christian; brothers, Kenny Windle and Max Windle; and sisters, Marilyn Moore and Ann Orr. Family and friends are invited to gather from 11 a.m. to 1 p.m., Monday, Jan. 9, 2017, in the Chapel of Keepes Funeral Home. Funeral services will be 1 p.m., Monday, Jan. 9, 2017 in the Chapel of Keepes Funeral Home, with Pastor Chris Christie officiating. Burial will follow at Columbia White Church Cemetery in Princeton. Keepes Funeral Home is serving the family with the arrangements. To view Dennis’ tribute wall, leave online condolences and order flowers for the Windle family, please visit www.KeepesFuneralHome.com.